Since 2005, comedian Ben Bailey has been driving around NYC in his taxi cab surprising his fares on the Discovery Channel show Cash Cab. 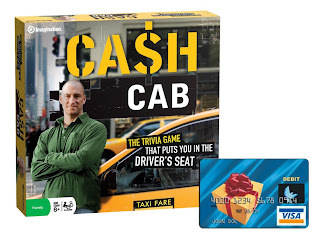 When they enter his cab, they discover that they have stepped into a game show. Bailey asks these unsuspecting people questions for a chance to win money on their way to their drop off destination. Traffic lights and certain traffic situations change the questions and the amount of money paid out. The contestants are allowed to stop and ask strangers on the street for help with answering these questions. At the end of the ride the contestants have a chance to double their money or lose everything. Watch the video clip below to checkout the fun . . .
Now Cash Cab is in syndication and is airing 5 days a week, Monday through Friday! Check your local listings for when Cash Cab airs in your area. There is even a Cash Cab board game for those who are fans of the show. 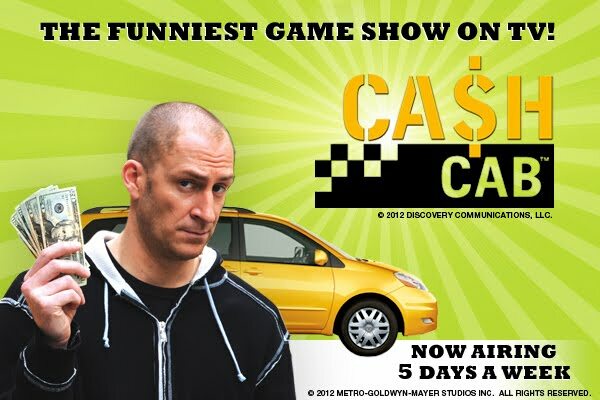 Learn more about this show by visiting Cash Cab on Facebook. Thank you to MGM for providing a gift card and board game for our contest prize and an additional gift card as a thank you to me for participating in this campaign.